There are some awesome freebies on offer from Mr Tire for the holidays. For instance, you can get a free flat tire repair with Mr Tire! 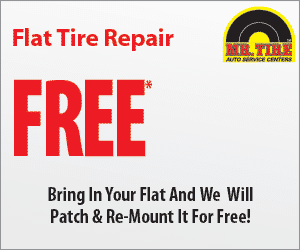 You can also receive a free tire rotation and inspection at Mr. Tire. Just click the link here and choose which freebies you are interested in using the digital coupon in the link.